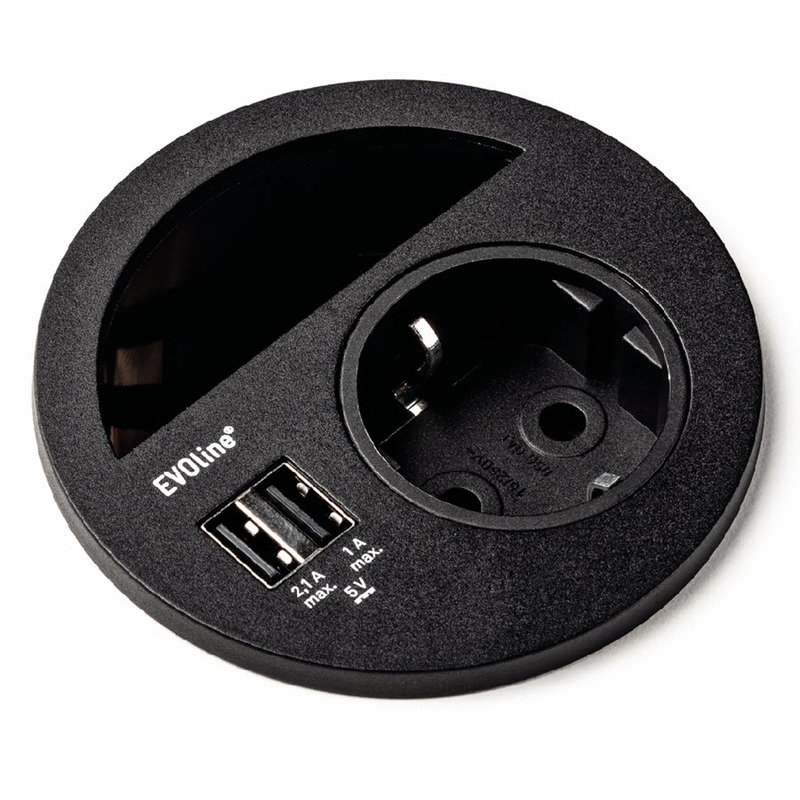 The EVOline Circle80 is manufactured on customer order with international sockets and USB chargers. 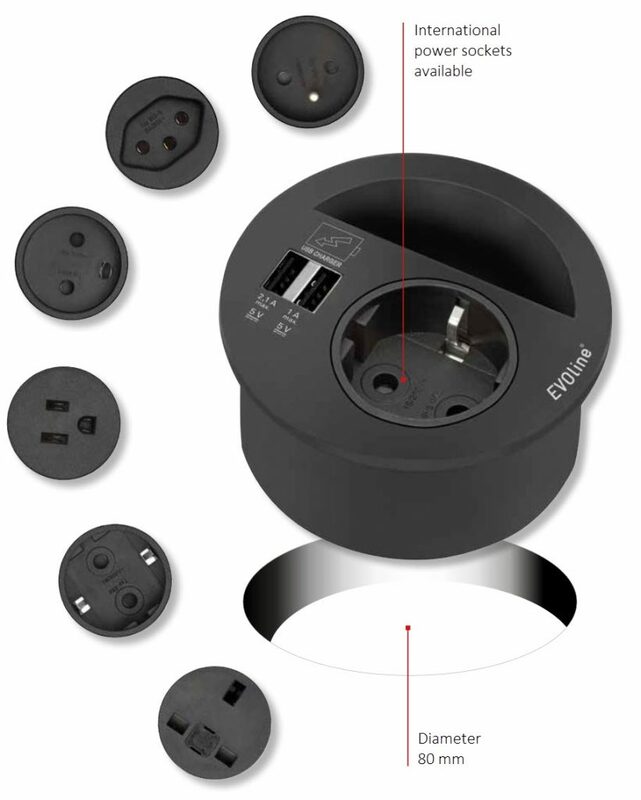 The integrated USB double charger supplies mobile phones, trays, cameras, etc. with a charging current of up to 2.1 amperes. 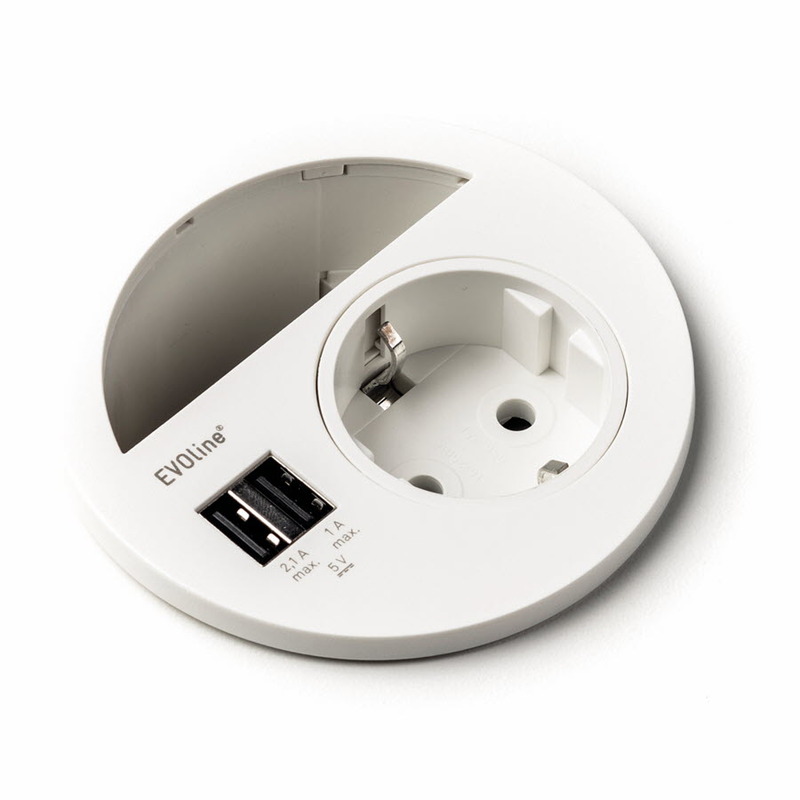 The EVOline Circle80 can be used for worktops from 10mm and up. 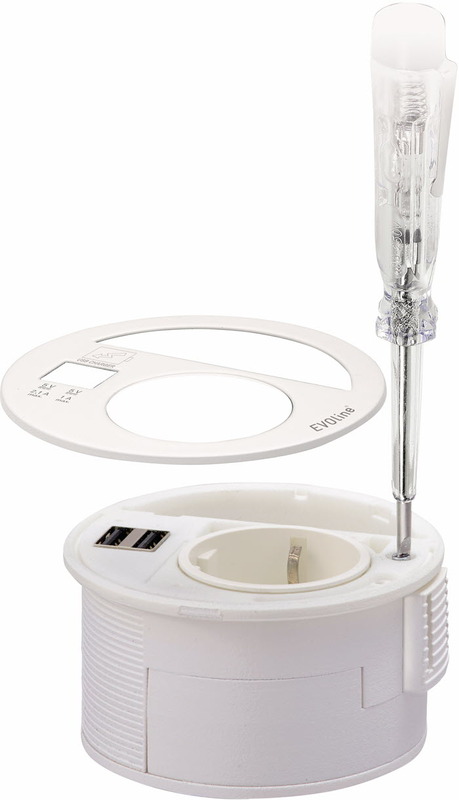 With a simple screwdriver, anyone can mount the unit. 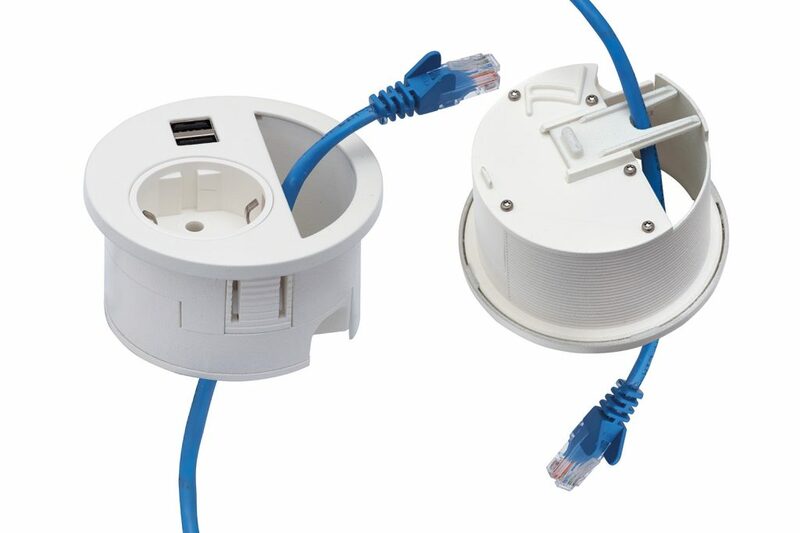 The cable-outlet holds a movable cable guide to prevent cables from dropping down. This way there is more space left on the worktop.